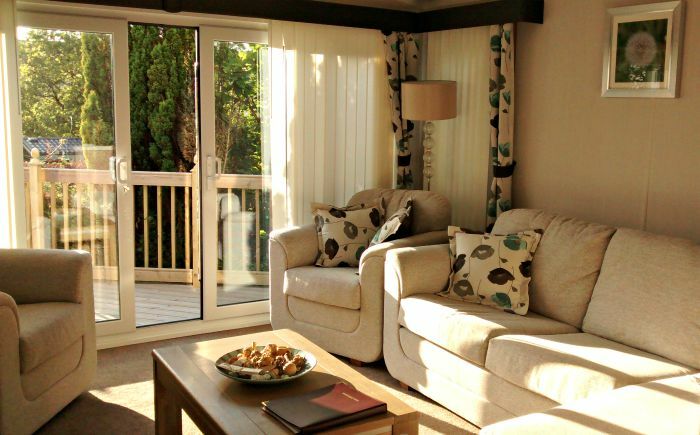 Holgates Silverdale - Family Friendly Holiday Park near the Lake District. We spent a fantastic weekend at the Holgates Silverdale Holiday Park overlooking Morecambe Bay in picturesque Cumbria. 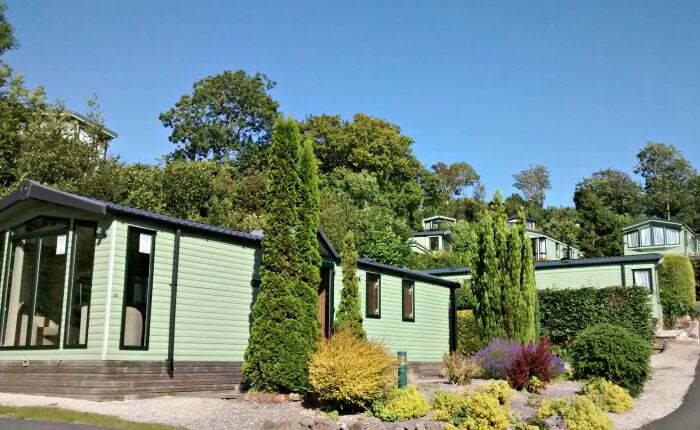 Close to both the Lake District and Yorkshire Dales, Holgates offers a range of family friendly accommodation options including holiday homes, camping pods and pitches for tents and touring caravans. The site is set in 100 acres of woodland and parkland and has loads of facilities for children including 2 adventure playgrounds, a swimming pool, an indoor soft play area – plus it’s close to a beach! We stayed in a 2 bedroom Swift Chamonix holiday home at the top of the park. 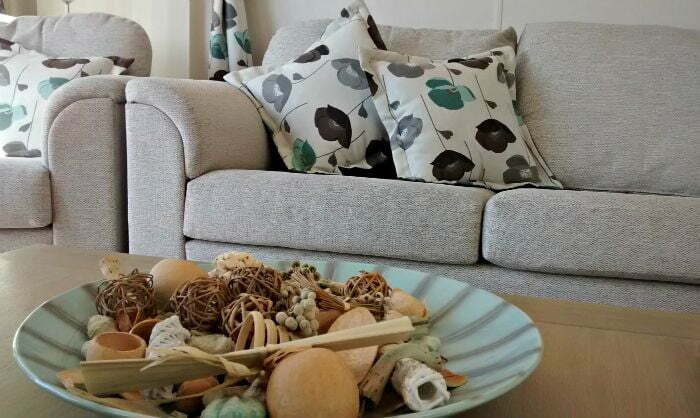 It was stunning – furnished to a very high standard with all the mod cons and amazing views over Morecambe Bay. The home was light and airy and plenty big enough for a family of 4. There were 2 large bedrooms; one with 2 single beds and one master bedroom with an ensuite bathroom and a walk in wardrobe! There was a large living area with comfy settees and chairs, a flatscreen TV, LED lighting and an electric fire. The kitchen was modern, spotless and equipped with everything you could think of including a double oven, dishwasher and even a corkscrew (an essential item for post bedtime relaxation). However the real wow factor was the large outdoor area. This was a large decking area with a table and chairs and a stunning vista over Morecambe Bay. We were lucky enough to be there in July so this area was wonderful for al fresco dining whilst watching the sunset over the Bay. It is possible to borrow a travel cot, highchair and bed rail from Reception if you need to. We also had our own car parking space outside the holiday home. My boys love being outside and a great holiday for them is about being able to run around outside and play and explore! Holgates did not disappoint. There is LOADS of space to run around, kick a ball, play frisbee or just relax. There were 2 really well equipped adventure playgrounds which were great for both boys, a football pitch and a pitch and put area. There is also a Butterfly Reserve, woodland to explore and we were really close to RSPB Leighton Moss. 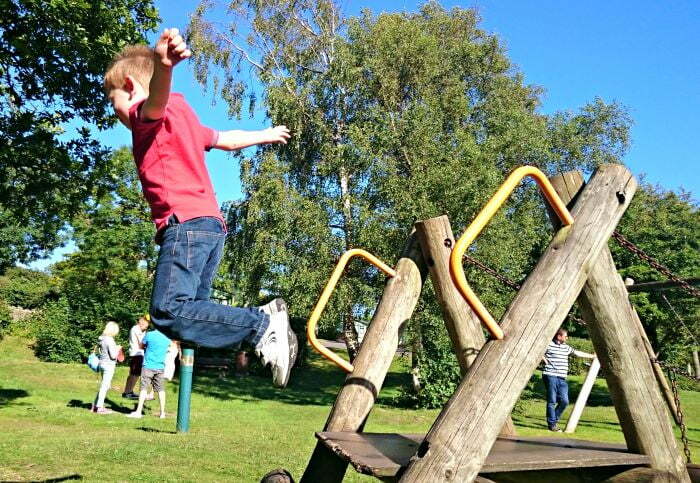 Having fun in the playground! Holgates was a great place for the children to ride their bike too. There is a 10mph speed limit on the roads throughout the park, and there were loads of children enjoying cycling around. 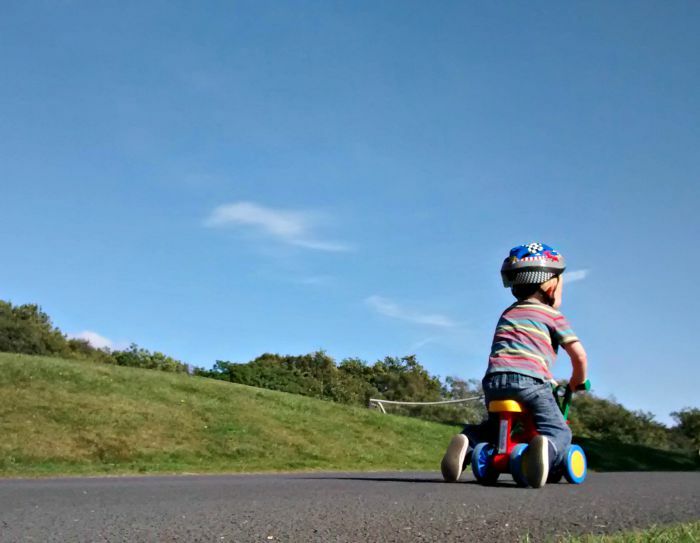 We took our 2 year old’s Toddle Bike and he loved getting out and about on it! Going on a bike ride! 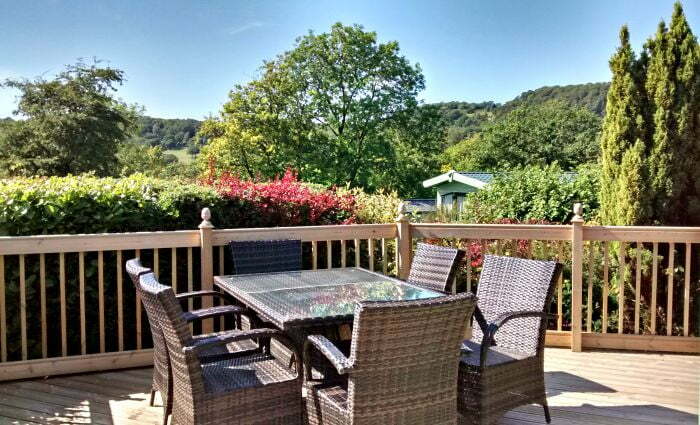 Holgates Silverdale is situated in an area of natural beauty and there are loads of walks which start from the holiday park. These aren’t suitable for buggies, but are possible using a baby carrier. The walks range from a 5 mile wander around woodland, fields and shore to a climb up Arnside Knott (522m). A walking map is available when you check in. In the rare event that it does rain (! ), there is an indoor soft play area for children under 1m of height. My boys were very excited when they spotted the wonderful indoor swimming pool inside the central building. This 17m indoor heated pool is shared with local residents so isn’t open all the time, but there is a nice mix of Adults Only sessions, Aquatfit classes and Kids Splash Sessions. My boys loved the Splash Session where inflatables were put in the pool to play on. One of my highlights was seeing 2 year old Daniel trying to climb on the inflatable Jetski! There was also a separate toddler pool, a Jacuzzi and a Steam Room and Sauna (which I kept trying unsuccessfully to escape to!). If you don’t fancy cooking, you can visit the onsite Restaurant in the Club House. This serves breakfast and evening meals and we found the food to be good quality and reasonably priced. There is an extensive menu and the emphasis is on locally sourced food. As well as the large menu, there was a specials board with some additional tempting choices. I ordered a spinach and ricotta lasagne (£8.95) which came with a fresh salad and garlic ciabatta. My husband ordered a Hunters chicken (£11), and the children’s menu comprised of options such as a burger, chicken nuggets, pizza and a drink. 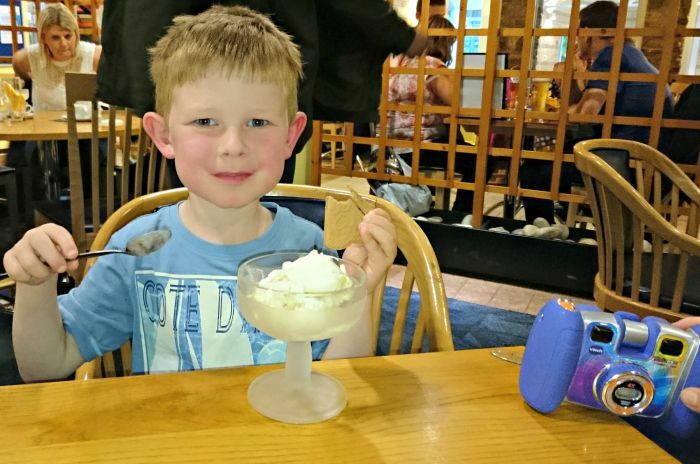 We all had South Lakes ice cream for our pudding which was fantastic value – just £1.45 for a VERY generous scoop of ice cream! If you wanted to cook at your holiday home / caravan you can pick up provisions from the very well stocked shop in the Club House. Again, we thought this was reasonably priced. There is a bar in the Club House which offers entertainment (including a kids disco) during peak periods. Holgates Silverdale is in an enviable position whereby it is near to both the Lake District, the Yorkshire Dales and the Forest of Bowland. We used it mainly as a base to access the Southern Lake District, but you can get to attractions such as White Scar Caves in the Dales, and seaside towns such as Morecambe and Grange over Sands quite easily. It is also near to Cartmel which is renowned for its Sticky Toffee Puddings! We had days out at the Beatrix Potter Experience in Bowness-on-Windermere, the Lakes Aquarium and the South Lakes Safari Park – all of which were less than an hour from Holgates. On sunny days, you can quite easily spend the day relaxing round the park and doing some of the local walks. 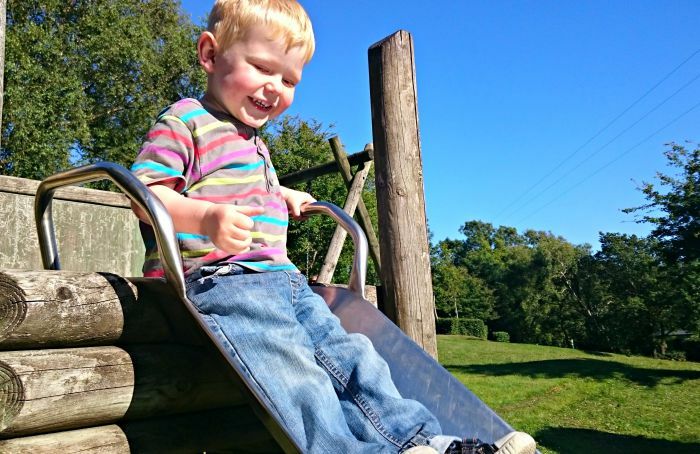 For more information about Holgates Silverdale click here If you are looking for a family friendly holiday park near the Lake District, I would definitely recommend Holgates Silverdale. Prices can be found on the Holgates Silverdale website. Thank you to Holgates for our stay – we loved it! What a great looking place – I love that area for dining outside and the interiors are great (as is that sticky toffee pudding!). 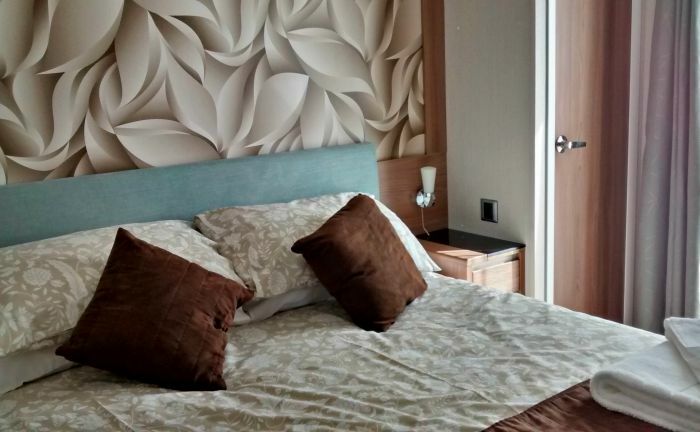 Your photos are so lovely – it looks like a great family break away. Beautiful and looks like a perfect family getaway! It really was Nichola – we are very lucky to live near such a beautiful part of the world! And there was loads we didn’t get to see / do on this visit.